I guess everyone knows about the media center XBMC – the best application for creating a multimedia player based on the PC. But the fact that its developers are now in full working on a version for Android, something was overlooked, and in vain – because its output has numerous army of media players (such as completely anonymous Chinese, and from more famous brands) suddenly (hopefully) free of charge to get the best out of existing shell media center – fast, convenient, functional and beautiful. Frankly, it is difficult to overestimate the importance of the future release of this monster, like XBMC, on the platform Android. 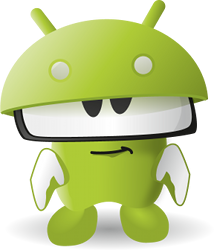 Indeed, many low Android-players come with as simple as their own shell and the “naked Android, and their owners XBMC is a real gift – for $ 100 a media center, in terms of functionality and convenience similar to that previously it was possible to collect only on the basis not of the low-cost PCs. In general, expect a public release and hope that everything will work as smoothly as in the above teaser.